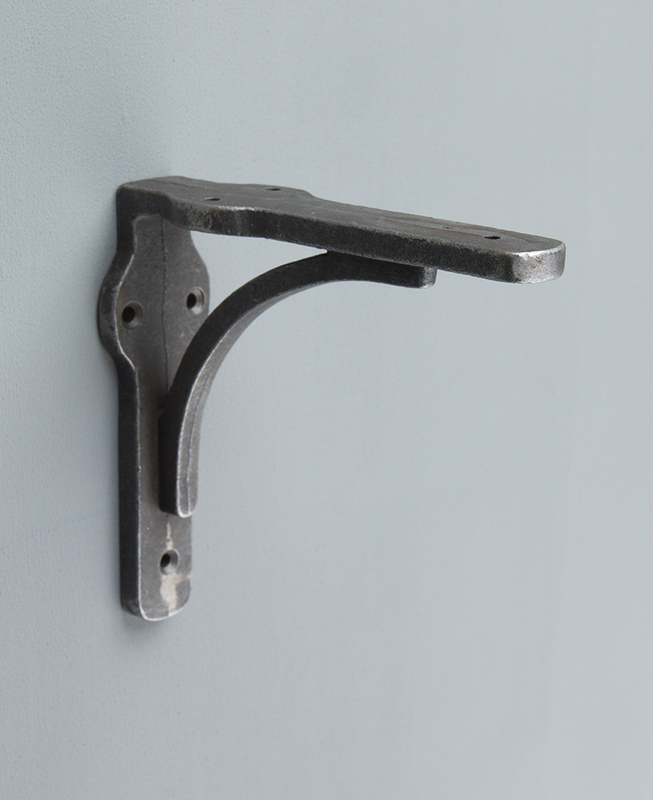 Our Felix metal shelf brackets are perfect for adding an industrial edge to your interior shelving. These rugged brackets look fabulous paired with rustic reclaimed wooden shelves. They’re perfect for using as rugged bookshelves in a Brooklyn loft-inspired space. 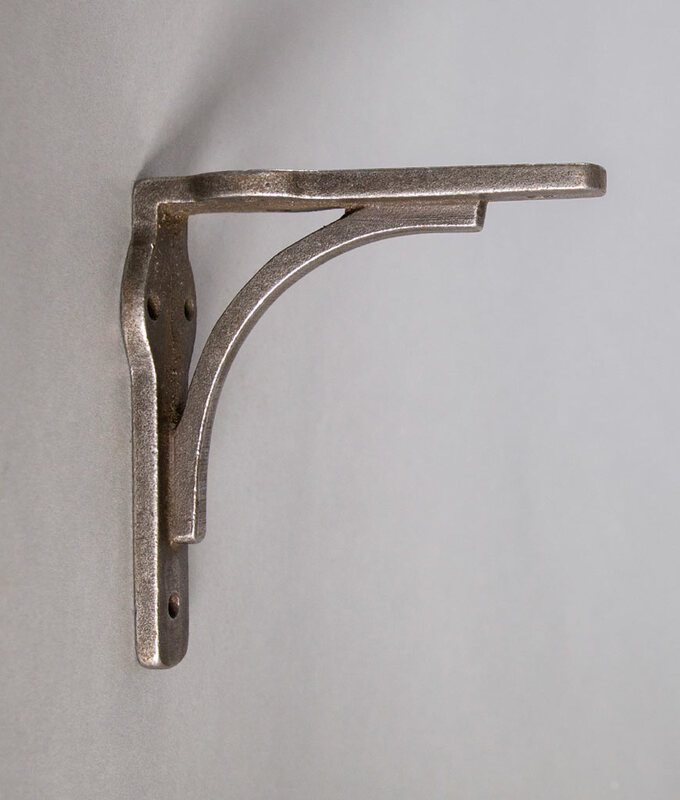 Our FELIX metal shelf brackets are the smallest of our shelf bracket collection – but that doesn’t mean they aren’t strong! Named after Mark Felix, a professional strongman who came third in Britain’s strongest man competition, these brackets didn’t win any medals, but they’re pretty good at holding up heavy shelves. You can use these brackets to support as big a load as your walls can bear. Made from rugged, moulded cast iron, Felix is perfect for creating gorgeous wall mounted shelves that complement your industrially styled interiors beautifully. We love these industrial metal shelf brackets used with a really rustic piece of reclaimed wood, maybe even a chunky piece of driftwood. Install onto exposed brick walls to create a rustic New York loft style vibe. For the ultimate unpolished look, offset the shelves at different heights and in random positions to accentuate the laid-back style. We even have a range of cast iron door handles and drawer knobs in our hardware range to complete the look. Each of these cast iron shelf brackets shows gorgeous signs of hand tooled grind marks making them all completely unique. There may even be light rust across the surface – but that’s all part of their charm. 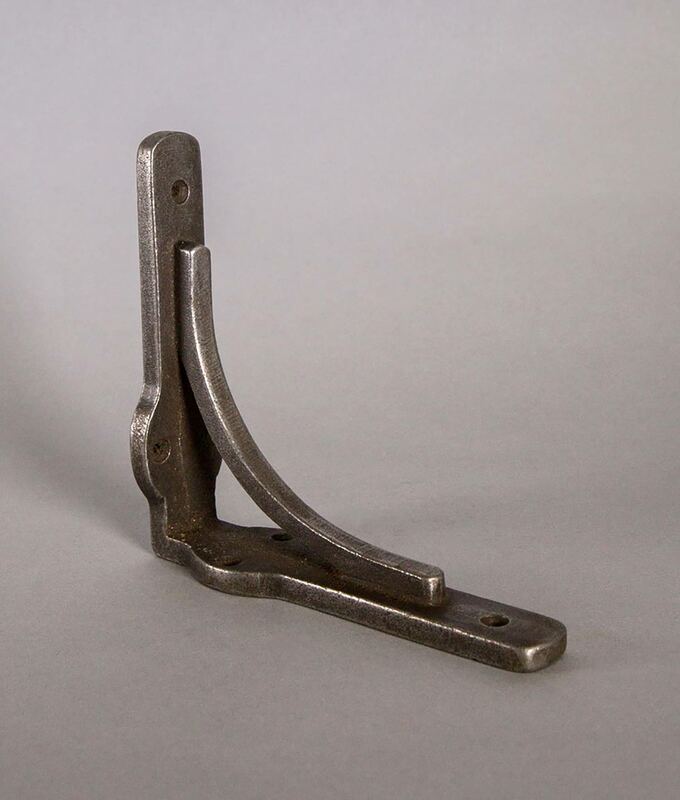 What’s more, we add a light oiled coating to our brackets, preventing them from rusting and tarnishing. They may need to re-oiled to prevent rusting in damper environments, like kitchens – unless you like that type of thing.